Merry Meet my friends! Despite some cold weather..even some frosty mornings…Spring is in full swing here now! I’ve started my plantings finally…herb bed is in and I’m working hard on the other 5 beds in my yard, replacing some dead plants that didn’t make it through the Winter and putting in lots of new flowers! I am a very happy Witch when I can dig in the dirt! 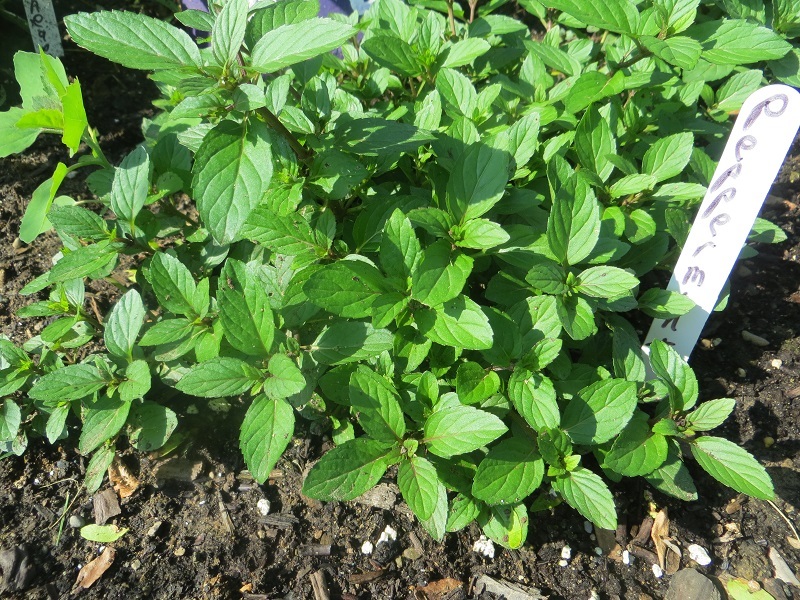 This week for the Sunday Stew…I’m writing about Lemon Balm..one of my favorite herbs! You can find the link to the Stew here: http://www.networkedblogs.com/XaXZ5 Be sure to read the Stew for lots of wonderful bloggers, recipes, news and information! I’m sharing what I wrote about Lemon Balm here with you! Lemon balm (Melissa officinalis), is a perennial herb native to southern Europe, western Asia and northern Africa and has been used medicinally for thousands of years. It can be categorized under the Lamiacease (mint) family. Melissa in Greek means “bee”. Officinalis is a Medievel Latin word meaning “used in medicine”. The name is probably derived from its traditional use by bee keepers to attract bees and its high medicinal qualities. Lemon Balm is also known as… bee balm, honey-leaf, horsemint, garden balm, balm gentle, English Balm, common balm, sweet balm, balm mint and sweet Melissa. Lemon balm exudes a very refreshing lemon fragrance when we bruise or crush its leave. For centuries, the bee keepers have planted lemon balm near the bee hives, even rubbing the leaves on the inside of the hives to encourage the bees to stay. Its strong lemon fragrance is believed to attract and to settle the honey bee swarms. This is why lemon balm is also commonly known as bee balm. Lemon Balm likes Sun and will spread like crazy if allowed to! 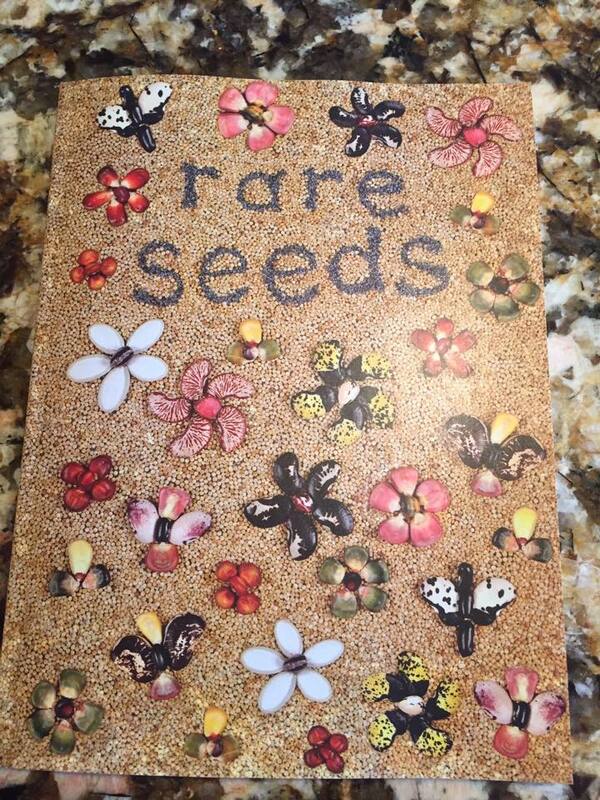 It can be successfully grown from seed. The plant reaches about 2-3 feet in height and produces masses of wrinkled, aromatic leaves. It’s deeply wrinkled leaves are about 2 to 3 inch long. The shape of lemon balm leaves is similar to mint leaves (oval or heart shaped) and are a bright yellow- green in color. Lemon balm grows relatively small flowers that can be white or yellow in color. Lemon balm is easy to grow and maintain. It’s a versatile herb and can tolerate severe weather conditions. 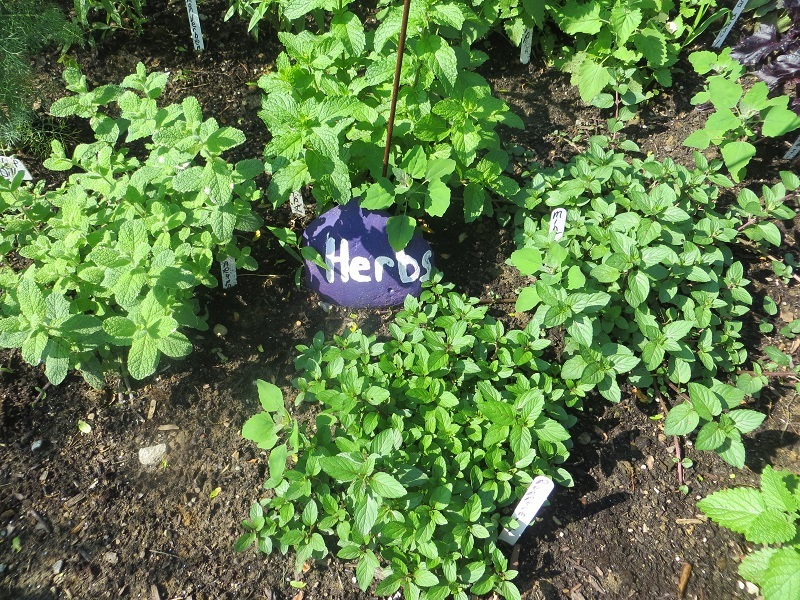 Lemon Balm is a wonderful plant for all herb lovers to have in their gardens! It’s a favorite of mine and you’ll see why! Lemon Balm has many medicinal properties. It’s an Antispasmodic, Anti-Viral, Aromatic , Cardiac tonic, Diaphoretic/sudorific, Digestive, Emmenagogue, Febrifuge, Hypotensive, Nervine, Sedative, Stomachic, Uterine Tonic, and Vermifuge. Lemon balm is used to relieve Anxiety, Colds, Depression, Dysmenorrhea, Nausea, Sore Throat, Insect/flea bites and Sunburn. It will help to heal Herpes/Cold Sores. It can ease cardiovascular symptoms and Pregnancy/Childbirth. Here are just a few ways Lemon Balm can be used…whether you drink it as a tea or use the leaves on your skin. You can make a tonic, an oil or a balm as well. Each preparation is conducive to a way to use Lemon Balm for healing. -Lemon balm has been used as one of the important ingredients to treat Insomnia. It has the ability to promote sleep. -Lemon balm cream can effectively cures cold sores caused by the herpes virus (HSV). -Lemon balm helps to improve digestion, loss of appetite and stomach discomfort and flatulence. – Herbal tea made from the lemon balm’s fresh or dried leaves is consumed to treat insomnia, anxiety, agitation, herpes, fever, menstrual cramps, muscle spasms, colic, vomiting and poor digestion. -a lemon balm infusion added to warm bath water may promote menstruation. -Using lemon balm in aromatherapy has benefits as well such as to relieve a headache, nausea, calm stress, and aid in more restful sleep. – The hot tea brings on a sweat that is good for relieving colds, flus and fevers and an antiviral agent has been found that combats mumps, cold sores and other viruses. – Studies indicate that the herb slightly inhibits the thyroid stimulating hormone and restricts Grave’s disease, a hyperthyroid condition. 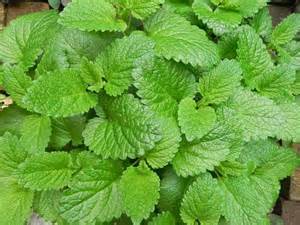 – Lemon balm’s antihistamine action is useful to treat eczema and headaches and accounts for the centuries-old tradition of placing the fresh leaf on insect bites and wounds. – Lemon balm has antipyretic, refreshing, cholagogic and stimulating properties. Use a pad soaked in the infusion to relieve painful swellings such as gout. – Use as ointment for sores, insect bites, or to repel insects. – Use hot infused oil as ointment or gentle massage oil for depression, tension, asthma and bronchitis. These are just some of the ways to use Lemon Balm medicinally! 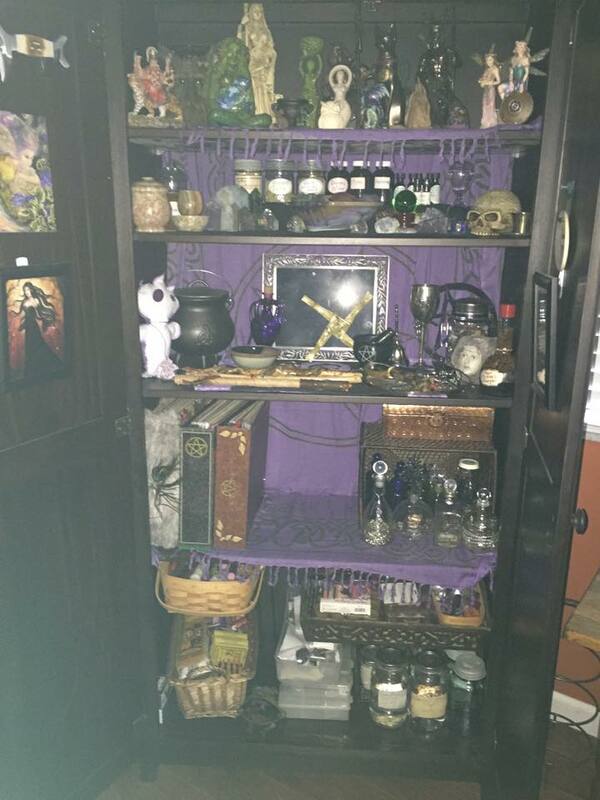 You can see why it’s an important herb to have in your Witchy medicine cabinet! In the culinary world, chefs prize lemon balm for its light, refreshing aroma and taste, often described as lightly lemon with a hint of mint. The fresh leaves yield the best results in cooking, though the dried leaves and stems are often used for making tea. The leaves produce a mild, lemony tea, and they’re often added to black or green teas for extra flavor. Whole or chopped fresh lemon balm leaves also add flavor to green salads, fruit salads, vegetable dishes, poultry stuffing and marinades for fish, and they provide a nice accompaniment to corn, beans, broccoli, asparagus, shell fish and lamb. I know from experience it is great on homemade breads too! The lemon balm plant reportedly cleanses the skin, and herbal steams containing lemon balm leaves are recommended for sufferers of acne. Cleansing herbal baths including the plant’s leaves may also benefit the complexion. Lemon balm essential oil is a common ingredient in homemade and commercial cosmetics formulated for oily or acne-prone skin. The essential oil has a slight drying effect and should not be used on dry skin. Lemon Balm can be used in many ways magickally. It’s said to be sacred to the Goddess Diana and was used in her temples. Lemon Balm is used in romance, attraction and love spells and charms. 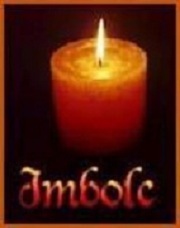 It can be used in lunar magick as its’ associated with the Moon. It can be used in Ritual work honoring the Goddess Diana as well. Lemon Balm brings mental clarity, calm, healing, health, friendship, fertility, and success. As a bathing herb it can help to attract romance, to cleanse before Moon rituals, and to aid sleep/dream and astral travel. Lemon Balm helps to relieve melancholy, to balance feelings and moods. To me, this would be a wonderful herb to use to help ground and balance. Lemon Balm can help us to open up to receive the divine love of the Goddess. -Use it in your bath before rituals..especially during Moon rituals. I hope that you all have a very Happy Memorial Day and a great week! Stay safe!